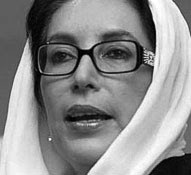 Benazir Bhutto (born 1953) became the first woman head of government in the Muslim world when she was elected prime minister of Pakistan in 1988, only to be deposed in a coup 20 months later. She was re-elected in 1993 but was dismissed three years later amid various corruption scandals. Some of these scandals involve contracts awarded to Swiss companies during her regime and remain unresolved. Her husband has been implicated, as well. The daughter of former Pakistani premier, Zulfikar Ali Bhutto, Benazir Bhutto was educated in the west, notably at Harvard University, and Lady Margaret Hall, Oxford. She temporarily left Harvard for New York City in 1971, when India sent troops into East Pakistan -- soon to be called Bangladesh -- and her father, as West Pakistan's foreign minister, traveled to the United Nations to resolve the issue. Benazir Bhutto joined her father in New York City and acted as a kind of assistant to him. This seems to have been a formative experience for her, in that watching her father in action brought her out of the academy and showed her the ways of power politics. Her remaining years in the United States included active participation in various social causes. During her time at Oxford, she was president of the Oxford Union, after the election had to be re-run because she accused her rival of illegal canvassing. Her entire undergraduate career was fuelled by controversy, coming in the middle of a period when her father's administration was being challenged both at home and abroad. After graduating, she returned to Pakistan, but, in the course of her father's imprisonment and execution, she was placed under house arrest. Having been allowed, in 1984, to go back to the UK, she was leader in exile of her father's party, but was unable to make her political presence felt in Pakistan until the death of General Zia ul-Haq. Then in the first open election in more than a decade, voters in Pakistan chose populist candidate Benazir Bhutto on November 16, 1988 to be Prime Minister. Bhutto was sworn-in on that December 2 becoming the first woman to head the government of an Islam-dominated state Bhutto has lived in self-imposed exile since 1999 when she left Pakistan to avoid arrest in a corruption case. 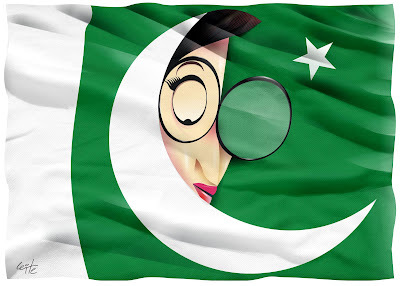 While she still heads the Pakistan People's Party and says she wants to return to office, a vast majority of people in Pakistan are convinced that both her husband and her were extremely corrupt. It therefore is not surprising to note that her husband, Asif Ali Zardari, is serving a seven-year prison term in Pakistan on charges of taking kickbacks. It is believed they stole hundreds of millions of dollars through demanding 'commissions' on all types of government contracts and other dealings. It was during Bhutto's rule that the repressive Taliban gained prominence in Afghanistan with the financial assistance of her government. The Taliban took power in Kabul in September 1996, and Bhutto's government became one out of only thre nations to recognize it. Pakistan remained a key supporter of the regime until the September 11 attacks in the United States. In 2002 Pakistan's current military president, Pervez Musharaf introduced a new amendment to Pakistan's constitution, banning Prime Ministers from serving more than two terms. This disqualifies Bhutto from ever holding the office again, and some said it was largely implemented due to the President's own fear of maintaining his power once democracy returned to the country. Bhutto currently lives in Dubai, United Arab Emirates, where she cares for her children and mother, who is suffering from Alzheimer's disease.